A smart bed with all the latest technology. 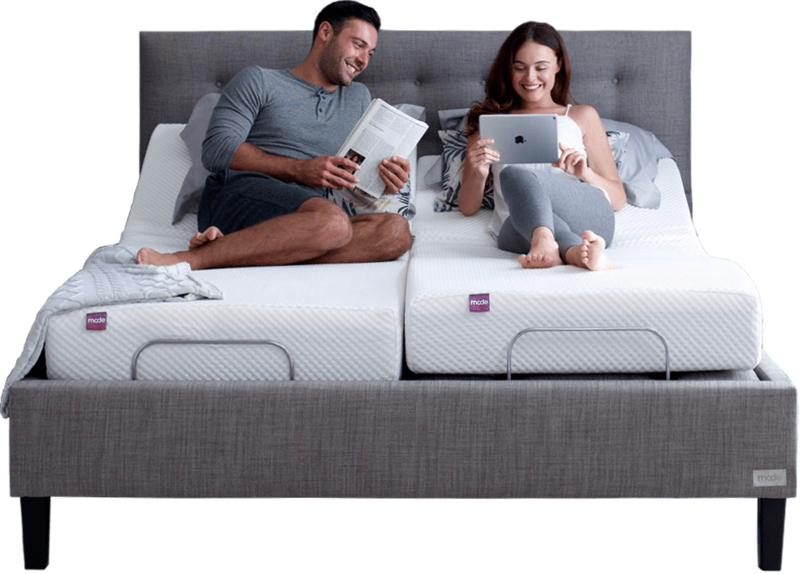 An adjustable base, USB chargers, massage and under-bed lighting make Mode the most advanced bed around and you can control it all from the Mode App. (Mattress sold separately). 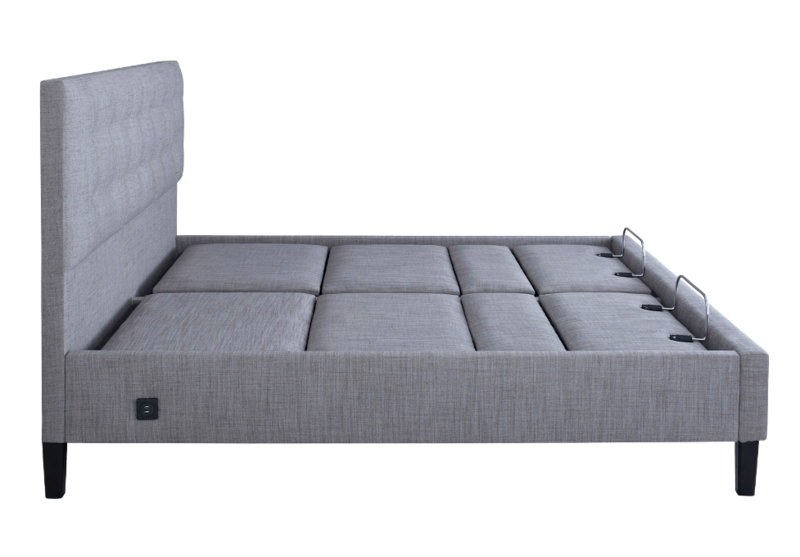 We know you do more in your bed than just sleep, so we set out to invent a smart bed that you can live in too. Mode has been engineered by experts to create the ultimate hybrid of comfort and technology. A bed so comfortable that you can enjoy your best night’s sleep and so dynamic that you can use it for all your favourite activities. On top of that all our beds are manufactured in the UK from fully FSC responsibly sourced wood, just one more thing to help you sleep at night. Every aspect of Mode has been engineered around you. Dual USB ports are located on both sides of the bed for all your electronic device and charging needs. A modern design fully adjustable base which moves with you. Our split bases allow you to move independently from your partner, or together. Our cutting edge comfort technology lifts you from underneath to give you enhanced support in any position. Smart LED lighting under-bed lighting can light your way in the dark. Lighting has a handy 30 minute timer before automatically turning off. Dual function focussed massage. Choose from continual or pulse effect massage and adjust the intensity to suit you. Store your 3 favourite modes/ positions. Recall your perfect positions again and again at the touch of a button. Our beds are Bluetooth enabled. Connect to your bed direct from your phone using the free Mode app. Our touch sensitive Bluetooth wireless remote control provides a back-up for the app and allows full control of your bed. 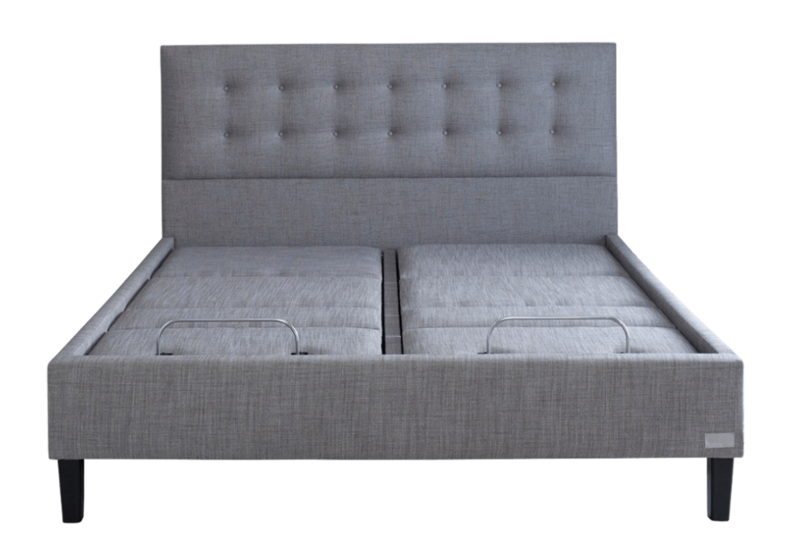 Our stylish upholstered headboard and frame will look at home in any bedroom. For peace of mind we offer a 5 year electrical warranty with all of our beds. 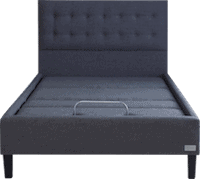 All Mode beds and mattresses are manufactured in the UK. Delivery from placing your order until receiving your item will be 8 weeks. Your bed is made to order. The delivery company will provide you with an AM or PM slot on an agreed day (Monday – Friday only). We use a white glove delivery service and all our beds will be fully assembled in your room of choice by trained professionals. At Mode we try and reduce our environmental impact. All Mode beds use only FSC responsibly sourced wood. Where possible we recycle any packaging and waste produced. We plant a tree in the UK for every bed we sell. Our manufacturers are part of the National Bed Federation. Is something keeping you up at night? 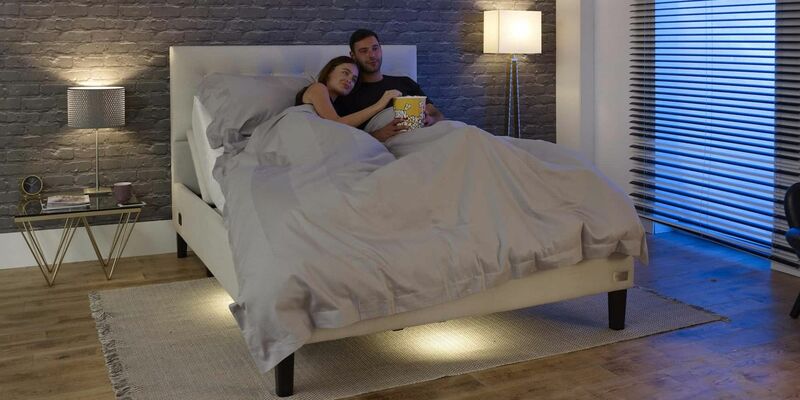 We know how important a good night sleep is and so we've designed a solution to help with your snoring partner. 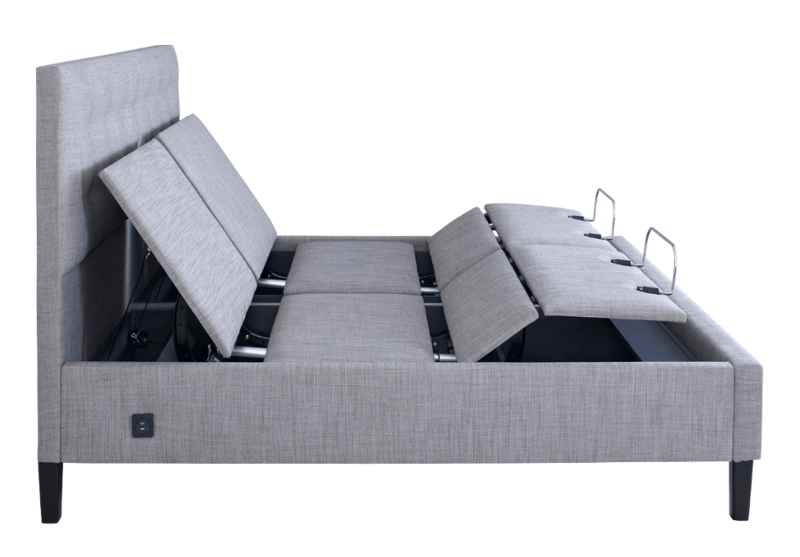 Our split bases allow you to control your partner's side of the bed so that you can gently lift them to reduce snoring. That way you can both wake up bright eyed in the morning. Have you found your perfect partner? We have. 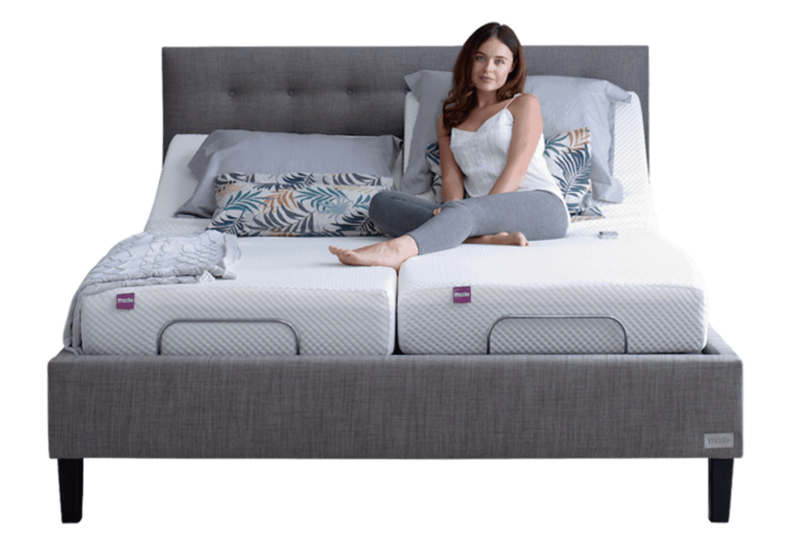 Introducing the Mode Mattress, a high quality memory foam mattress designed to move with your bed. 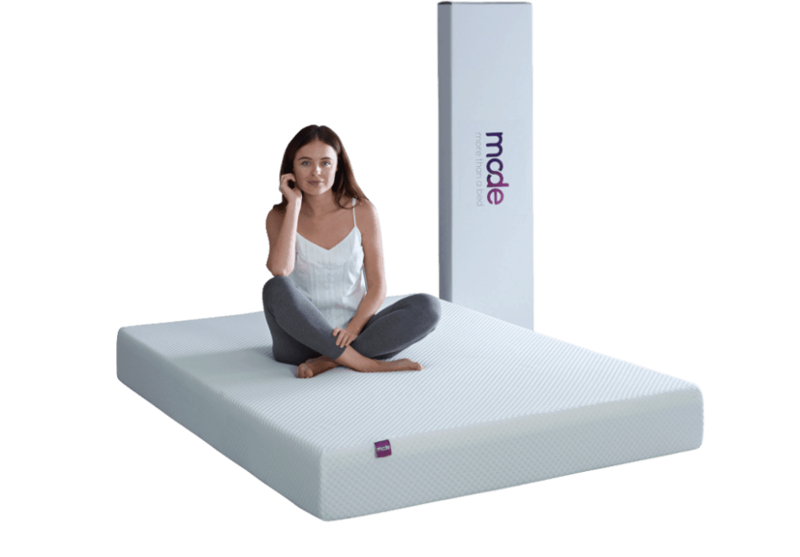 The Mode mattress combines a super soft quilted cover, quality memory foam and a supportive flexible breathable base to make sure ‘sleep mode’ is still your favourite setting. 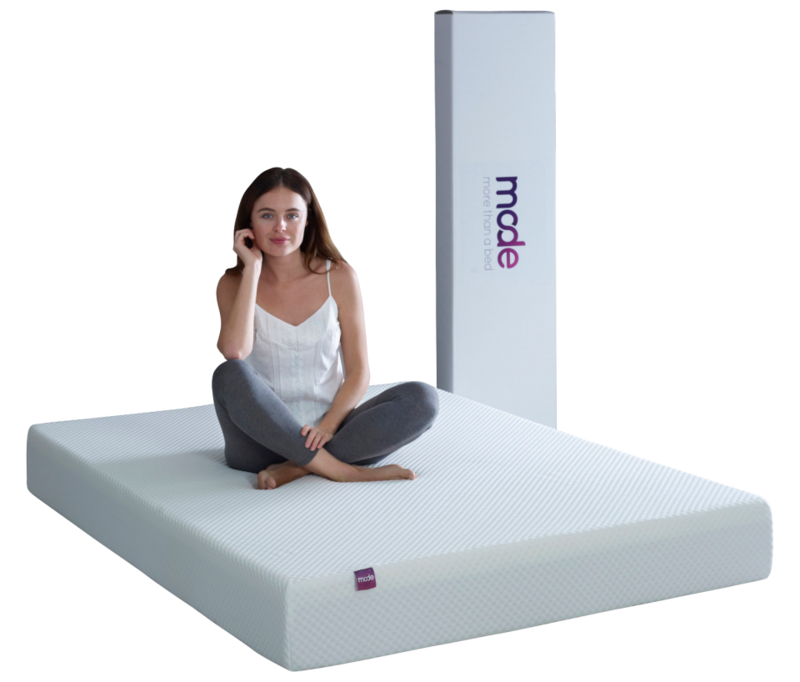 Buy the Mode Mattress with your Mode Bed for the ultimate dream team.